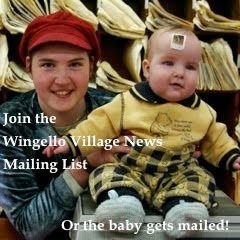 Since 2009 we have been running the café and restaurant at the Wingello Village Store as "The Un-named Café". Over the last 6 years we have provided over 25,000 meals which has been a wealth of experience. We have continually examined and refined our range and all the ingredients that go into our simply good food and it has shown in our growing customer base. So now is a good time to develop an appropriate logo.